Superflex is the right combination: a scientifically balanced composition of easily absorbable glucosamine and chondroitin, the highest quality MSM, plus the added benefits of a powerful antioxidant formula. Horse joints have to deal with extreme forces and it is often the cartilage that shows the first wear. With a thinner synovial fluid and a disruption in the protective cartilage layer, the process of degradation begins. Often the first signs are hard to identify, but slowly there is so much wear and tear that the horse can no longer work effectively. The main components of the nutrients support healthy and flexible joints. Research shows that combining the most important nutrients is more effective than the action of a particular nutrient alone. 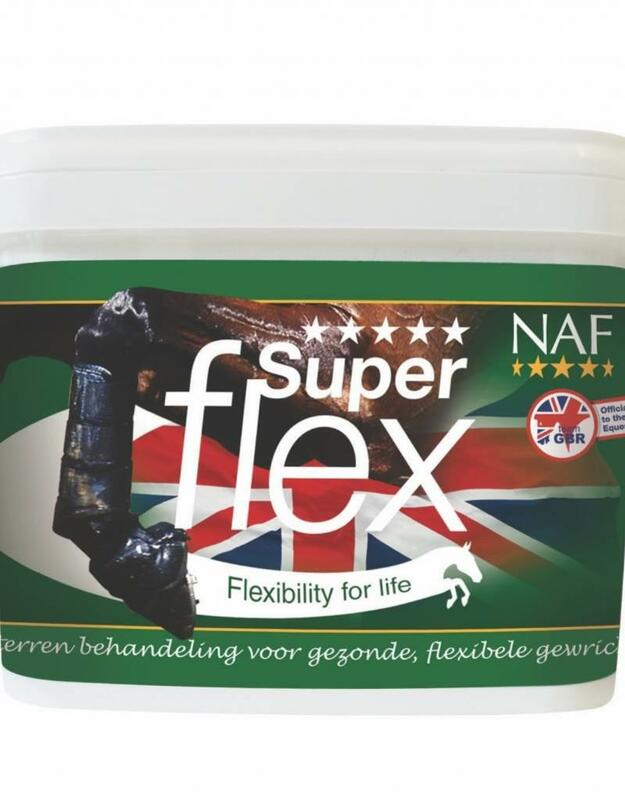 Five Star Superflex contains the right combination of the important nutrients in optimal proportions, developed during more than twenty-five years of working with healthy horses.